One of the issues you can have with glossy lamination on a research poster is that of glare or reflections. This photo, of a customer who is nonetheless happy with his poster, shows you what can happen. Usually it’s not a big deal, since the light is higher than your eye. If the research poster is lower than your eyes, the path of the glare is going to be below you, and you won’t have trouble with glare. In this case, the poster is mounted up very high, and the path of the light goes from the light to the research poster to the camera, and you see the glare they got. Were the research poster a foot lower, they would not have had a problem. So, the solution is to either mount your poster so that the top is lower than your eyes, or use a matte laminated, paper, or foldable fabric research poster. All solutions work! Having said that, gloss laminated research posters are our most popular laminated poster. They are less expensive, and the “wet” looks of a glossy photo is quite appealing. Most of our customers find that the way their posters are displayed, they don’t have much trouble with glare. 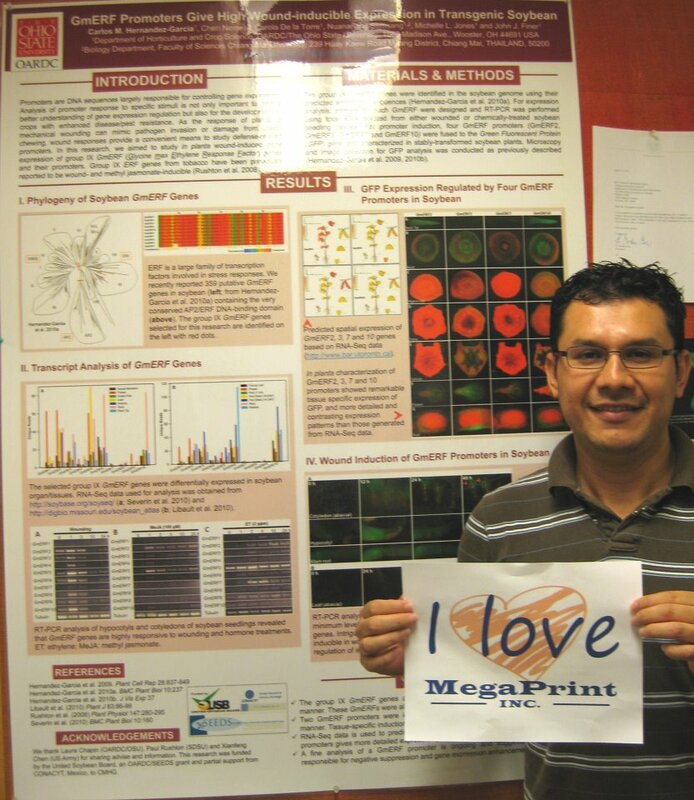 This entry was posted in Scientific Posters and tagged fabric poster, poster glare, poster session, research poster. Bookmark the permalink.